CQWW SSB 2018 M0BEW SO15HP. Only had a single day free on the Saturday, with a couple of hours away mid afternoon. Band didn't really offer much at all, very dissapointing. I gather Sunday was even worse. 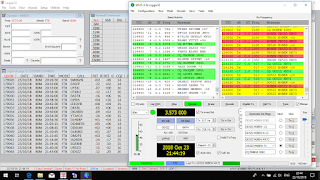 30m DX FT8 VK9XG DT8A M0BEW. Qso with DT8A, South Shetland, King Se-Jong Korean Antarctic Scientific Base on 30m. 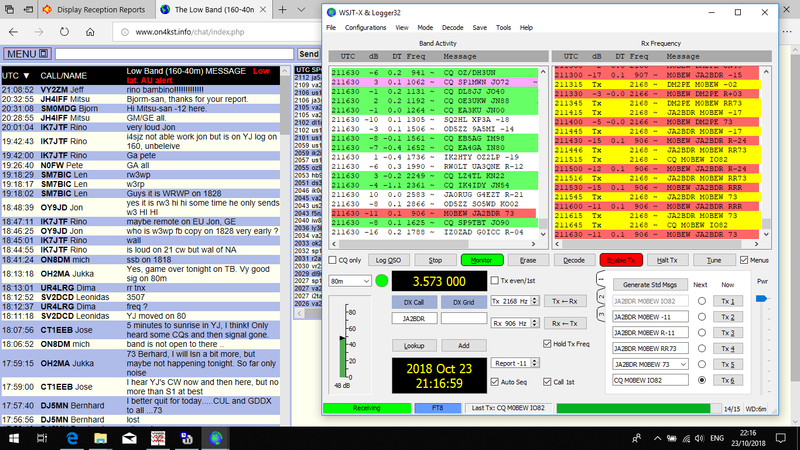 Qso VK9XG, Christmas Island on 30m. 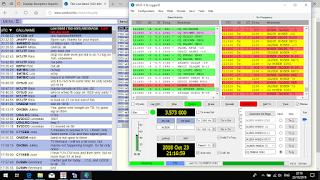 RBN Data JARTS WW RTTY Contest 2018 M0BEW. 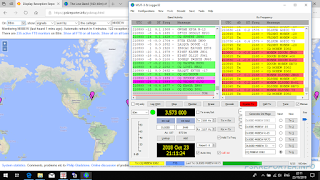 80m DX with FT8 JA M0BEW. More intresting stuff on 80m with FT8. JA2BDR calls whilst running EU. 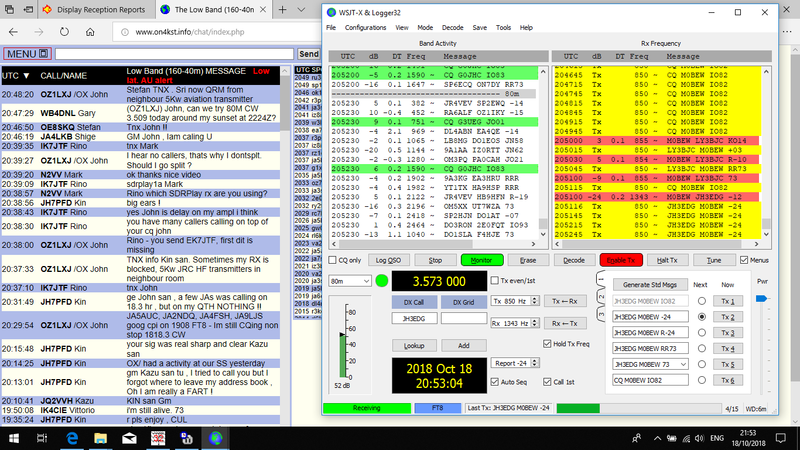 JARTS WW RTTY Contest SOHP M0BEW 2018. TRC DX Contest SOCWHP 2018 M0BEW. Part time. 80m only for few hours. 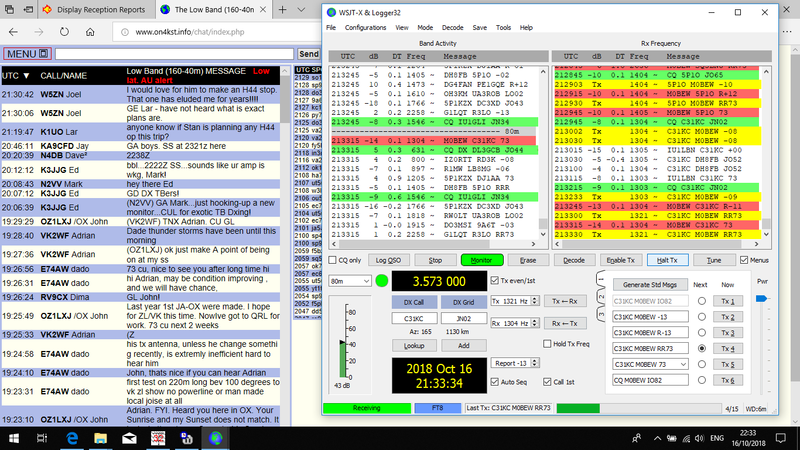 80m DX with FT8 / Intresting Qso's M0BEW. 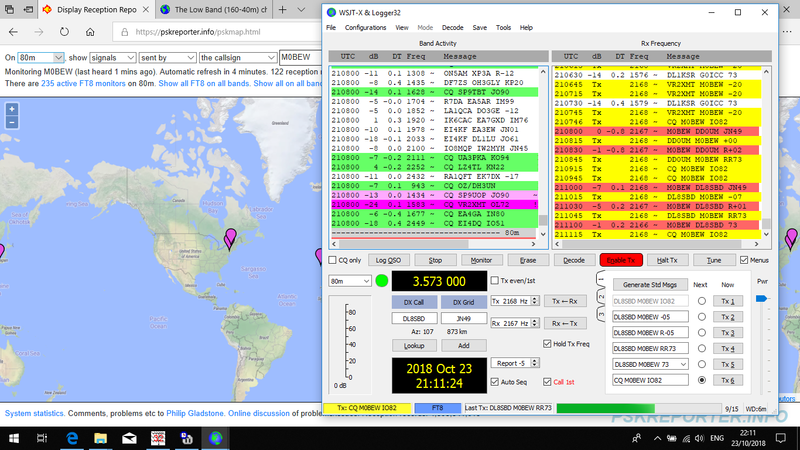 Been active a bit more on 80m recently with FT8.. It's incredible whats available. In all fairness the signal levels, as you can see, qsos would have certanly been possible via CW. 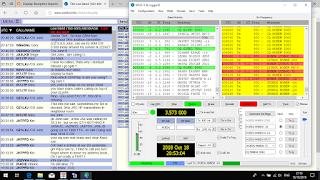 However the nature of the FT8 window puts everyone together on the one frequency making things easier. This is a big, big plus for G at our SR as the band is quiet, the opposite is true at SR as most DX will be covered by Europe with a full window and a signal every 50hz most the time. Ever now and again a gem will creep through. A nice surprise cq'ing into a fading band around 90 mins past SS. Answer from AH7C. Another here even later on. Call from XE1FAS. 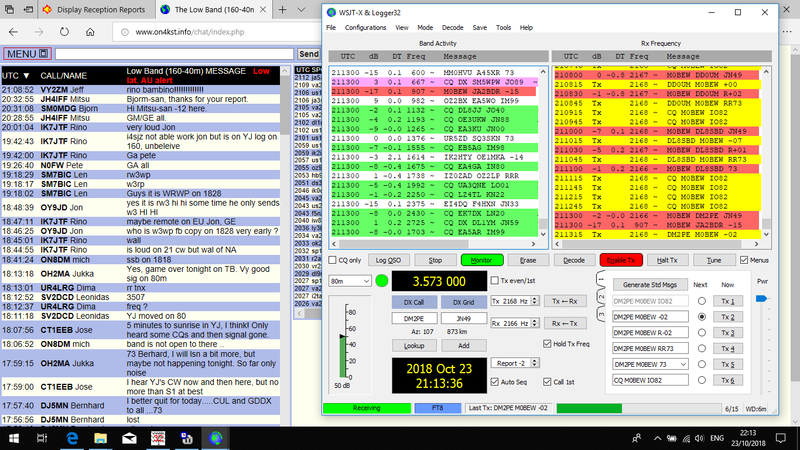 As can see here, past 8am still working NA, and a qso with YV5JLO. 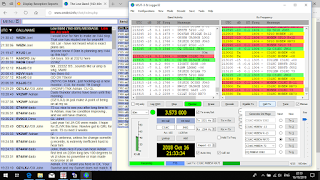 Watching PSK reporter during early evening cq. Flagging into VK at 16:19! Here's another surprise. Running Europe guys and see a cq from a VU come up on another DF. Out the blue he calls me... 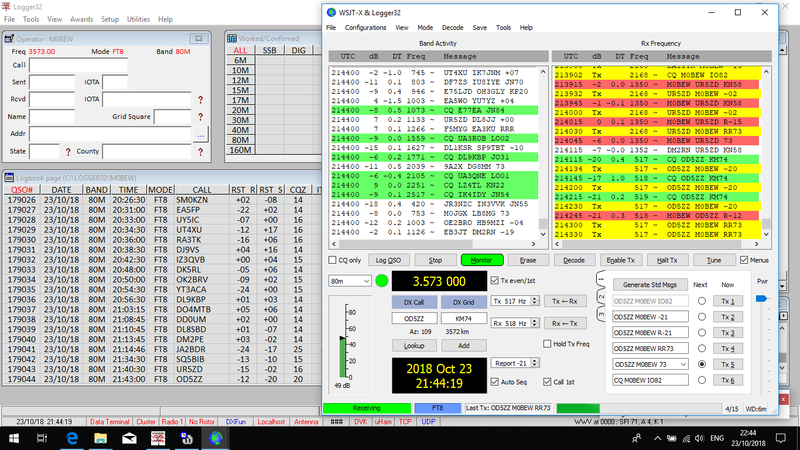 Very difficult qso, with other signals overrunning his. Then a few mins later after a few more EU qsos I see him complet ewith me. FB. RBN Data RSGB Autumn Series CW 2018.